A historical focus on mining and agriculture has degraded parts of Minas Gerais’ natural environment. 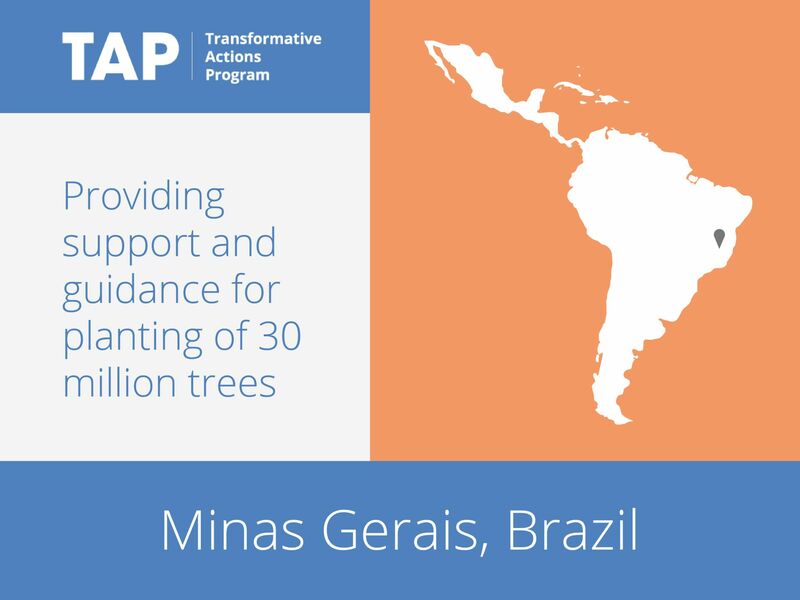 This pioneering program, which aims to plant 30 million trees in three years, will contribute to the recovery of springs and adjacent forests. It will engage citizens as agents of sustainable development, with a program of social mobilization, environmental education and promotion of wellbeing. Monitoring will be conducted through a Geographic Information System (GIS), facilitating the communication of results to citizens. The program addresses both local water issues and the global challenge of climate change, and is aligned with the broader environmental commitments of Brazil.